What is the best way to use Traditional Balsamic Vinegar? Those were the words of Mariangela Montanari, our balsamic idol whose amazing kitchen in Modena is full of open bottles of Traditional Balsamic. 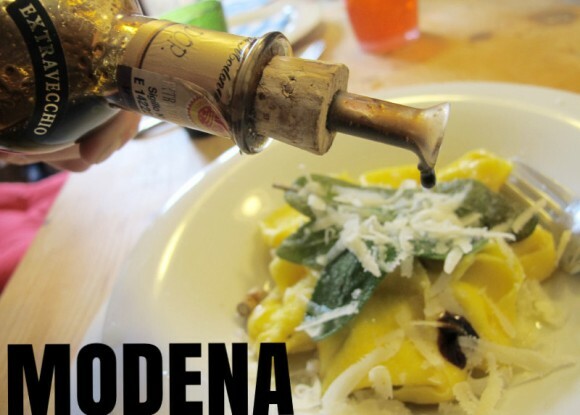 How can we justify the cost of using Traditional Balsamic Vinegar in our home kitchens or our chefs in their restaurants? Read all about our visit with Mariangela and the Balsamic making process on the GustiBlog. Mariangela makes Traditional Balsamic Vinegar as well as Balsamo, her “everyday” Balsamic, perfect for salads and any recipe that calls for balsamic.